For 82 years Brisk has carried a tradition of being the best. 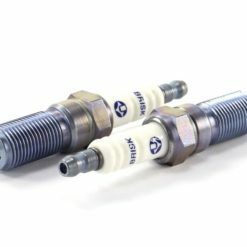 Despite of claims, there is no other spark plug manufacturer in the world that offers a spark plug with multiple discharges per single ignition system impulse! Brisk has an annual production of more than 50 million spark plugs including Brisk Super spark plugs, Brisk Extra spark plugs, Brisk Forte spark plugs, Brisk Platin spark plugs, Brisk Double Platin spark plugs, Brisk Racing Iridium spark plugs, Brisk Racing Iridium/Yttrium spark plugs, Brisk Silver Racing spark plugs, Brisk LGS Lamborghini spark plugs, Brisk Evolution spark plugs, Brisk ZS/ZC spark plugs, Brisk TXS spark plugs. Brisk offers unique, custom tailored products specific to the needs of the consumer and the application being built/used. Among others, Brisk is also an O.E. supplier for Lamborghini, TM Racing, VW, Volvo, Audi, Seat, Skoda, Opel, Sthil. Brisk has covered virtually all our customer’s requirements for a better performing spark plug! Whether its life longevity and low-cost spark plugs for your everyday drivers, or maximum efficiency and durability in a more specific, high performance application, Brisk has the ideal solution for your needs.